For Sathnam Sanghera, growing up in Wolverhampton in the eighties was a confusing business. His family’s strange and often difficult behaviour was challenged at the age of twenty-four, when he made a discovery that changed everything he ever thought he knew about them. Equipped with breathtaking courage and a glorious sense of humour, he embarks on a journey into their extraordinary past – from his father’s harsh life in rural Punjab to the steps of the Wolverhampton Tourist Office – trying to make sense of a life lived among secrets. 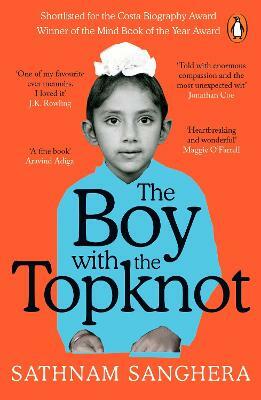 It explores the sensitive subject of mental illness with courage and honesty, and by being authentic and specific to Sathnam and his wonderful family, it tells a universal truth about the human heart. One of the World Book Night titles for 2014. It’s a funny story about a clash of cultures told with humour and sensitivity. I thought this book gave a good perspective of being a british Asian, though the writer came across a bit conceited.